Ahoy, Dungeoneers! It’s time for another Critical Hit Show! 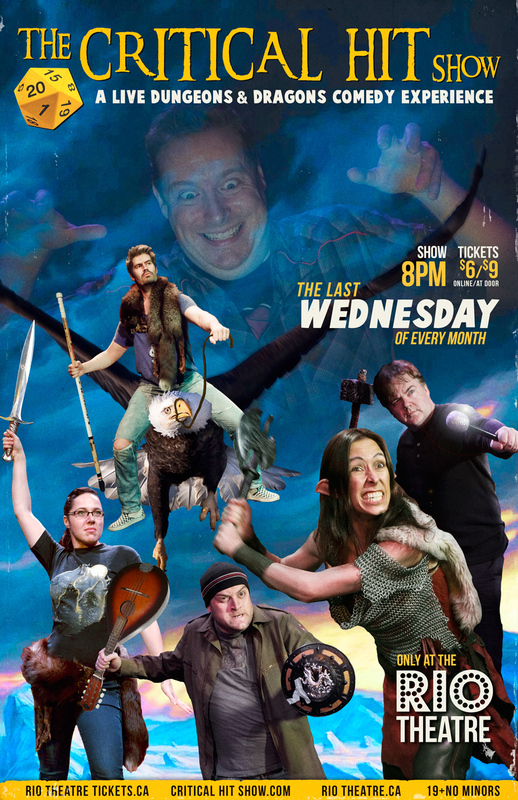 Tonight at The Rio Theatre, Vancouver’s finest comedians take on another epic comedy adventure. There will be danger, treasure, and of course, hoards of nasty monsters played by YOU! So get down to The Rio Theatre tonight and enjoy some of the best comedy Vancouver has to offer!